Well, it's tea time in Wonderland and look at you! You're a mess! A mad hatter or a march hare would go absolutely bonkers if they saw you sitting at their chaotic dinner table without the proper attire to fully enjoy your tea. 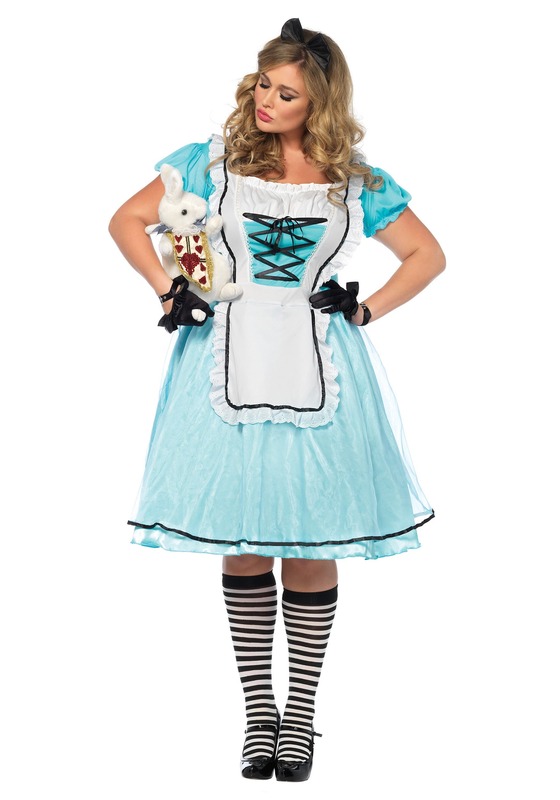 Thankfully we have a quick fix for your wardrobe malfunction, here, check out this Tea Time Alice Costume! You can look just like a character that leaped right off the pages of a storybook in this baby blue dress paired with a white apron! With this classic and familiar look, you will be sure to make plenty of friends while you venture through any magical wonderland. Even if you're just planning to go and explore a costume party nearby, we're positive that plenty of friendly people will love this wonderful outfit! You can even personalize your new look by adding a few fun accessories. A practical pair of gloves and a sassy set of knee-high stockings would be excellent additions to this tea time adventurer attire. You can even grab a traveling companion to venture along with you, maybe a punctual bunny or a philosophical feline. Once you've customized your costume to the max, you'll be ready for anything from a simple cup of tea all the way to the adventure of a lifetime! So if you're ready to fall down the rabbit-hole this year, then grab your own Tea Time Alice Costume and your fanciest tea cup, and get ready for the Halloween Wonderland that awaits you! As a plus-size woman, I greatly appreciate when the items I order fit the way they are supposed to. This is especially true with Halloween costumes, as sizing can be so fickle with a lot of costume companies. This costume fit me so perfectly, I have to admit I was a little shocked how well it fit. 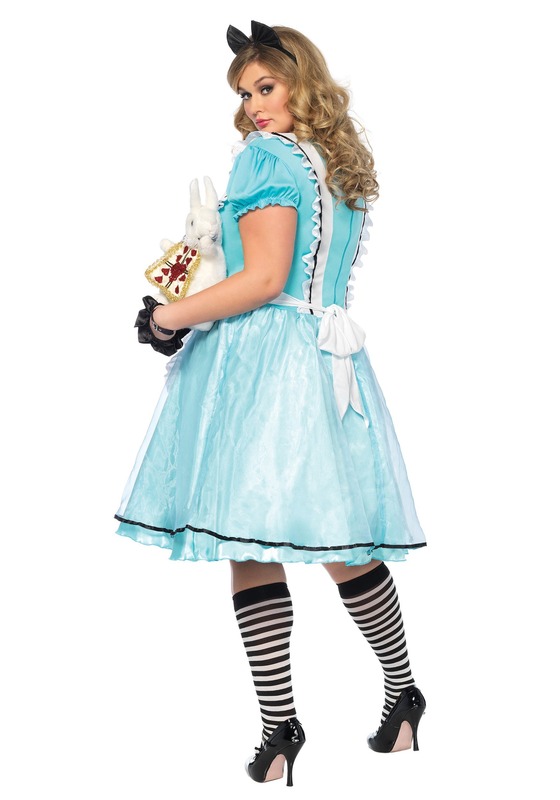 Definitely happy with this purchase and can't wait to rock this Alice on Halloween!